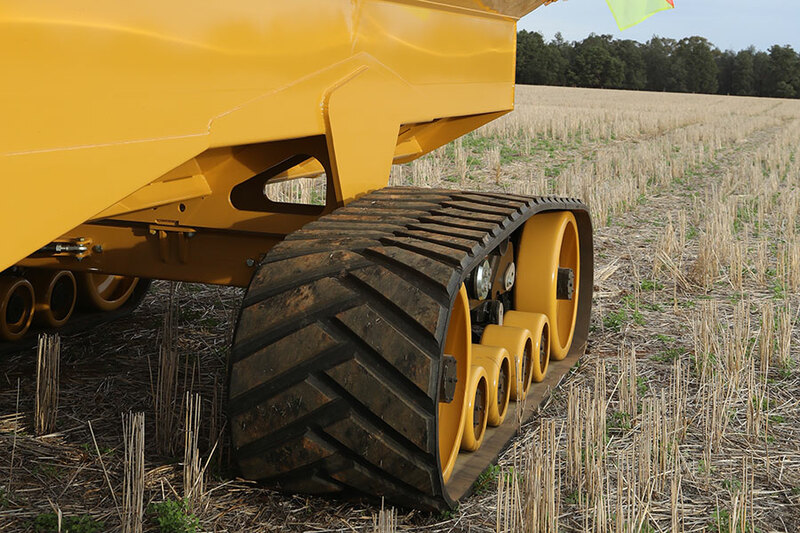 Reduces stress on track undercarriage and chaser bin frame compared to other track system designs. 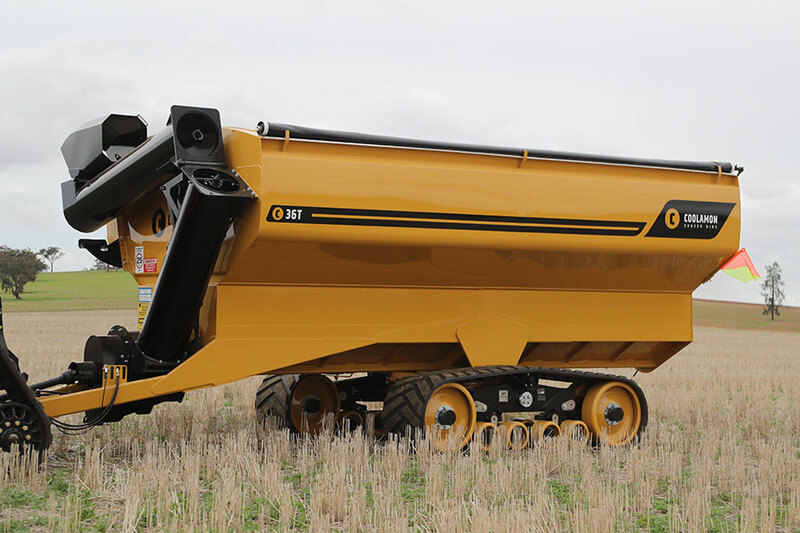 Suspension movement features includes rotation about the main pivot pin, walking tandems, and the bogie pivots front to rear and side to side which is exclusive to the Camso system. 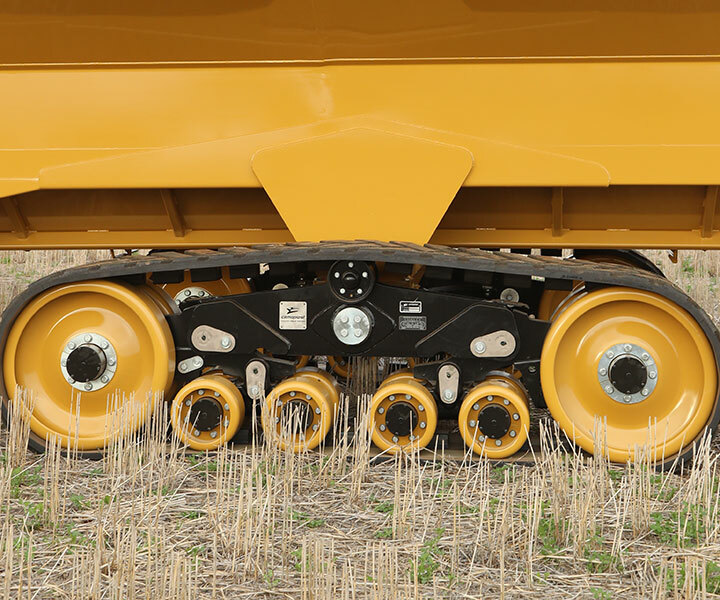 All frame pivots feature greaseable pins with lip seals and high load. 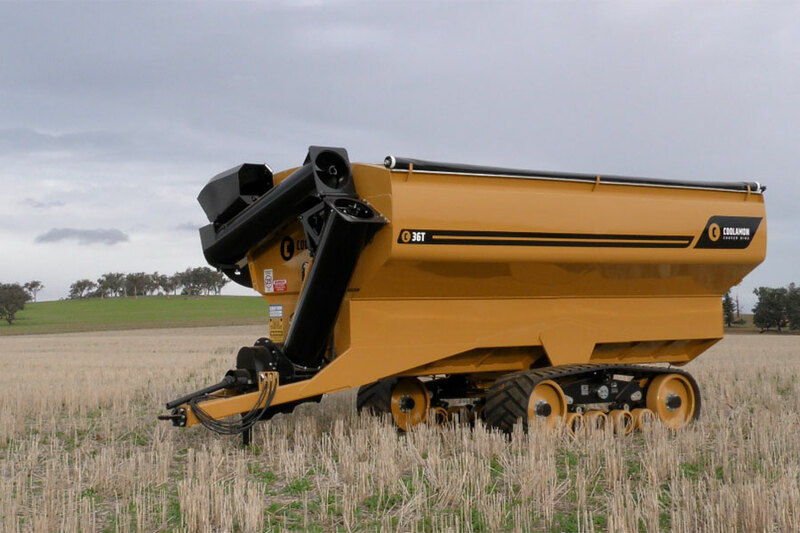 Low wearing bushes for longer life and an easy maintenance schedule. Oil bath wheel hubs and bogie oscillation joints, require no greasing or repacking of bearings. There is an active track tensioner with mechanical spring design requiring no adjustments. 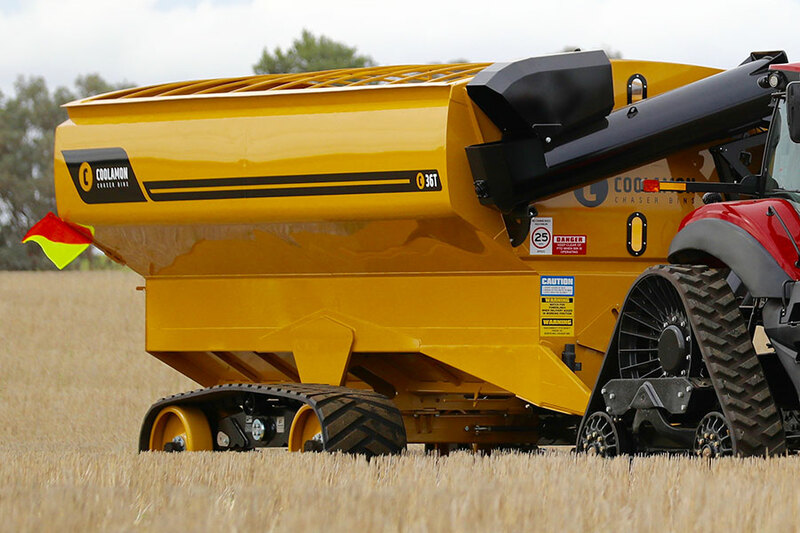 THE RANGE OF OTHER OPTIONS IS EXTENSIVE, SO YOU CAN DESIGN YOUR BIN PRECISELY TO MATCH YOUR REQUIREMENTS.